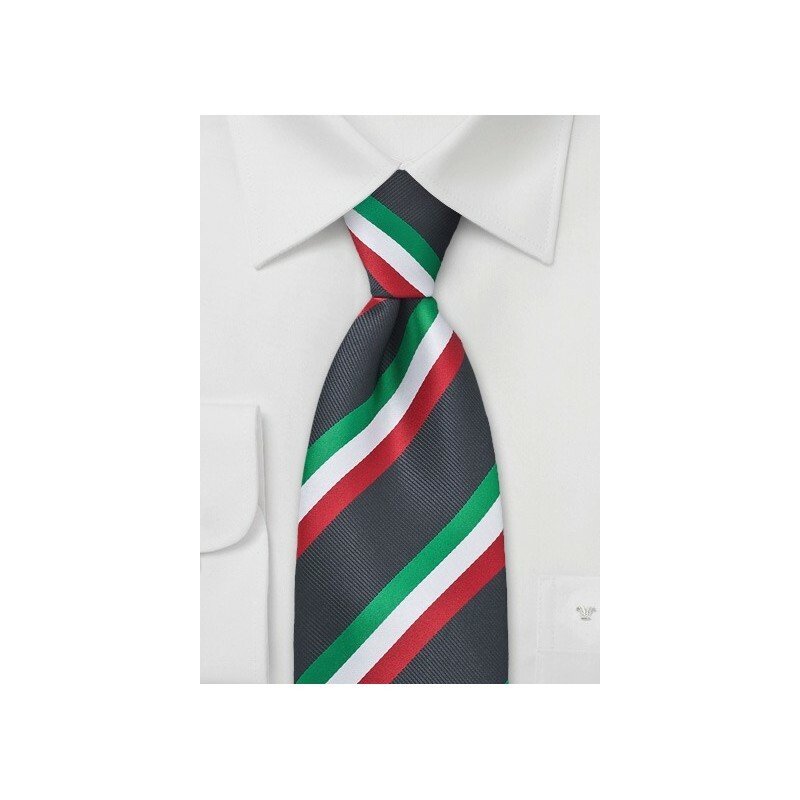 This elegant and stylish striped tie is perfect for the Italian soccer fan. It combines an elegant and modern design with the classic colors of the Italian flag. 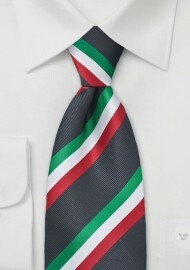 This tie is made in limited production for the Euro 2012 championship. This Italy stripe tie is made from a carefree and stain resistant microfiber. Even Mama's pizza sauce won't leave permanent marks on this elegant tie. To match this tie we suggest a slim fitting Italian suit in navy with trendy pin stripes, a solid white dress shirt, and trendy dress shoes.